← You’re invited to Kelowna MC College’s Industry night! 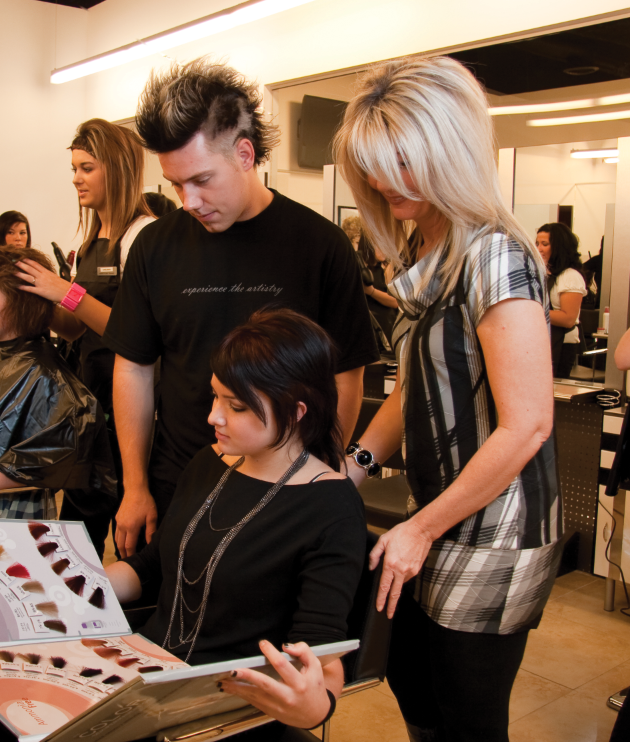 We’re looking for a Hairstyling Instructor in Calgary, Edmonton and Saskatoon! Do you have passion for a rewarding industry, great team skills, strong motivation, and industry skills you want to share? Are you one to mentor our future professionals? Then come join an Industry Leader’s Team by becoming a Hairstyling Instructor! • Three years minimum previous industry experience in Hairstyling. • Demonstrable an ability to be a problem solver, a team player, to take initiative and be self-motivated. • Willingness to complete all MC College and provincial educational requirements. • Represent the college in a professional manner to the students and clients, with a professional image and positive presentation. • To instruct in all subjects as per the curriculum outline and school requirements. • To create own lesson plans out of the curriculum for both theoretical and practical subjects. • To coach and mentor salon simulation skills. • To coach and mentor self-marketing skills, salon simulation, sales and promotional techniques, and methods to build and retain a clientele for each graduating student. • Other duties as they may arise. • M.C College offers a rewarding compensation package which includes a base salary plus team and individual bonus programs. • A benefit package that includes Dental and Extended health care.